The Navajo Nation recently released details of a planned development on the eastern boundary of Grand Canyon National Park, including: a rim-based resort; an aerial tramway that will transport visitors to the floor of the canyon; and a half-mile walkway near the confluence of the Colorado and Little Colorado Rivers (all on Navajo land, the precise borders of which are still in dispute between the tribe and the National Park Service). The tribe projects that the project will generate as much as $70 million annually, and attract 3 million visitors. 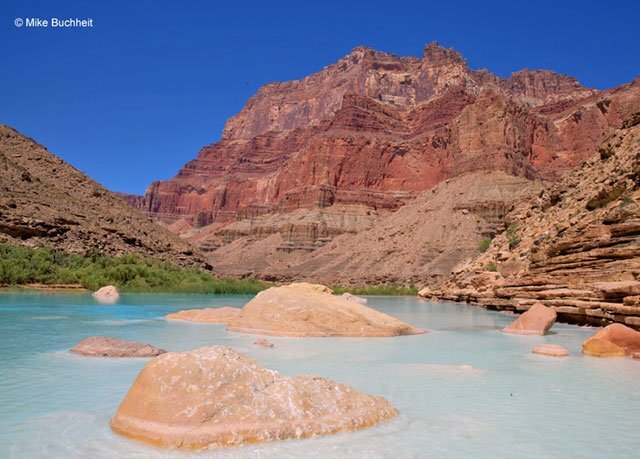 Opponents to the project including conservationists, the river running community, other Native American tribes such as the Hopi who consider the area sacred ground, and a wary National Park Service contend that the development will harm the fragile ecosystem, threaten endangered species like the humpback chub, and mar the wilderness experience that makes Grand Canyon National Park a world class destination. For more information follow this link, and let your voice be heard on this most important issue.